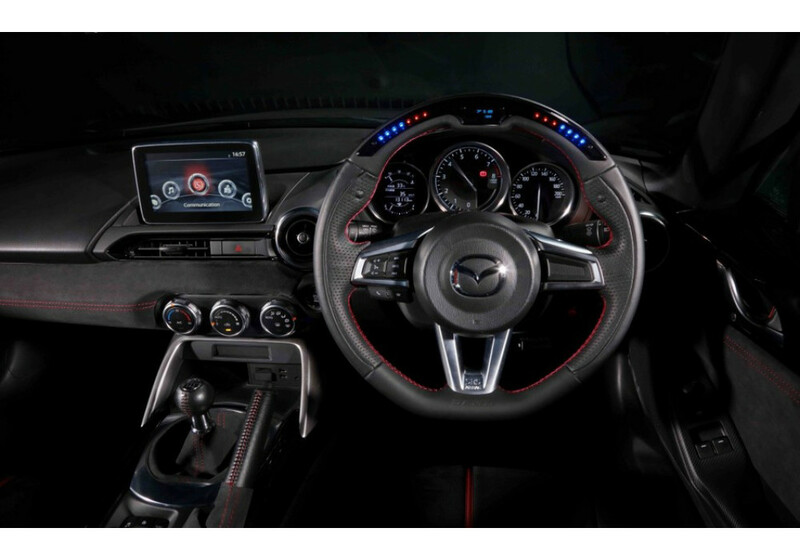 The DAMD Performance Steering Wheel (DPS-358-M model) is the most technological steering wheel you can get for the ND (2016+) MX-5 Miata. 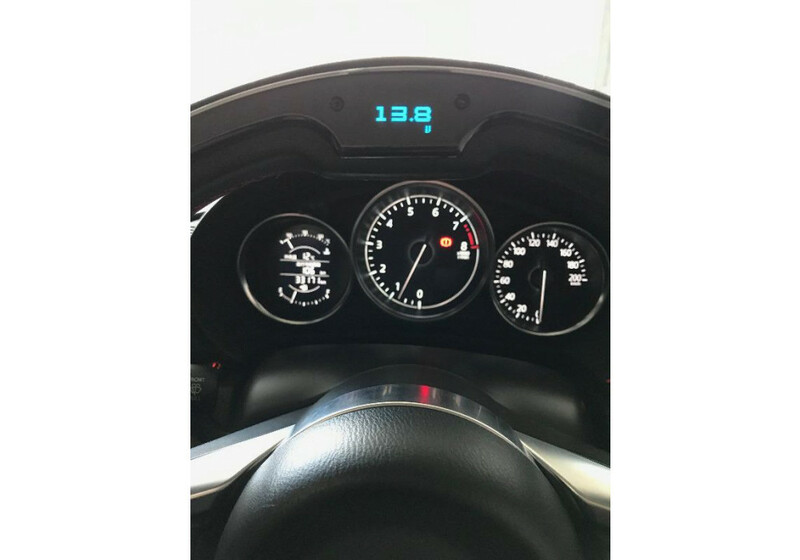 It has the functions to show the vehicle speed, engine RPM, fuel consumption, throttle position, oil temperature & water temperature in real time. 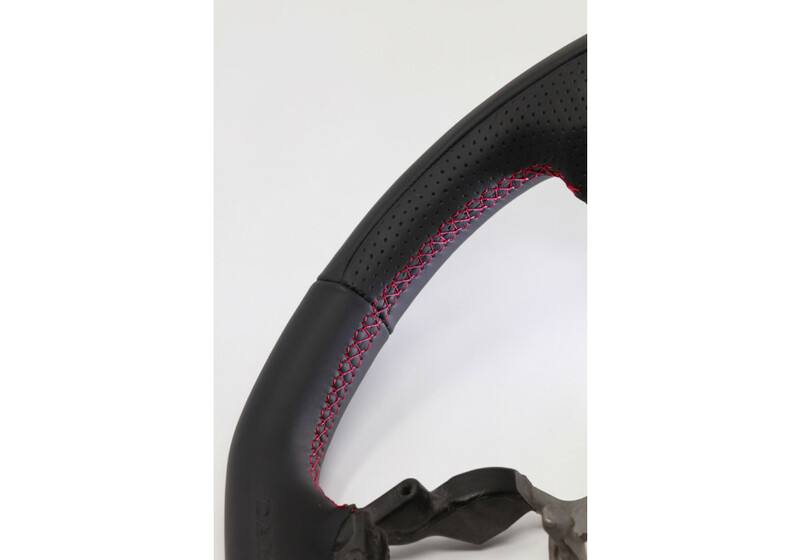 This is a great asset for those racing under harsh condition who need constant monitoring. Full functions list to be added to this page before long. 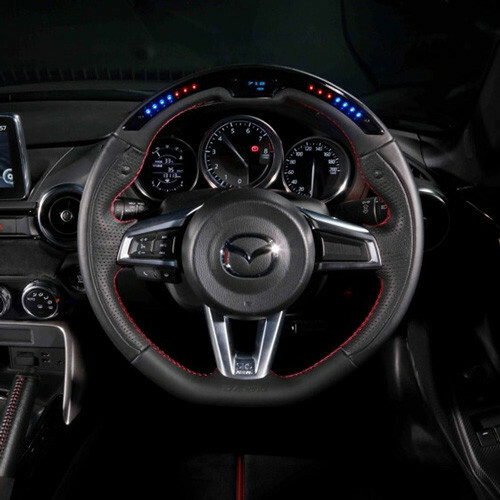 Please note that there is no text on the side of the steering wheel, it was a one-off for the prototype. 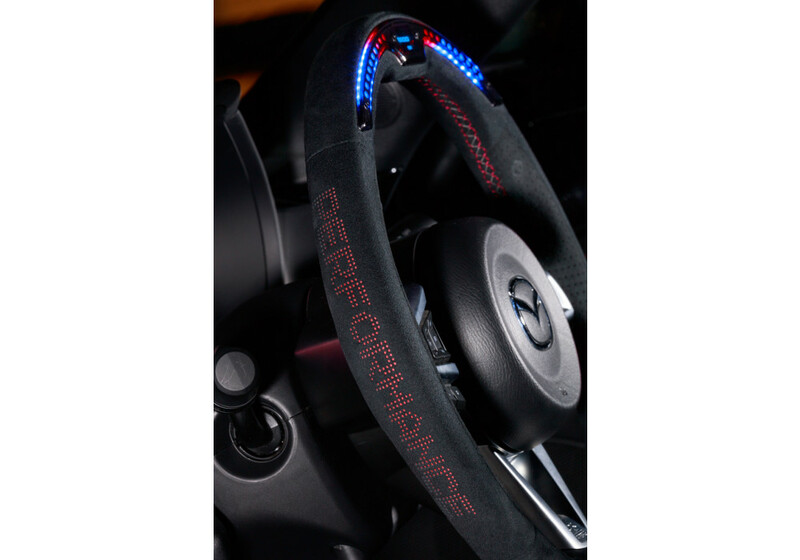 DAMD Performance Steering Wheel should be ordered at REV9 Autosport https://rev9autosport.com/damd-performance-steering-wheel.html as they provide the best service and speed we've seen so far! When you list professional installation, do you mean by an auto electrician, or is this something I can attempt myself? 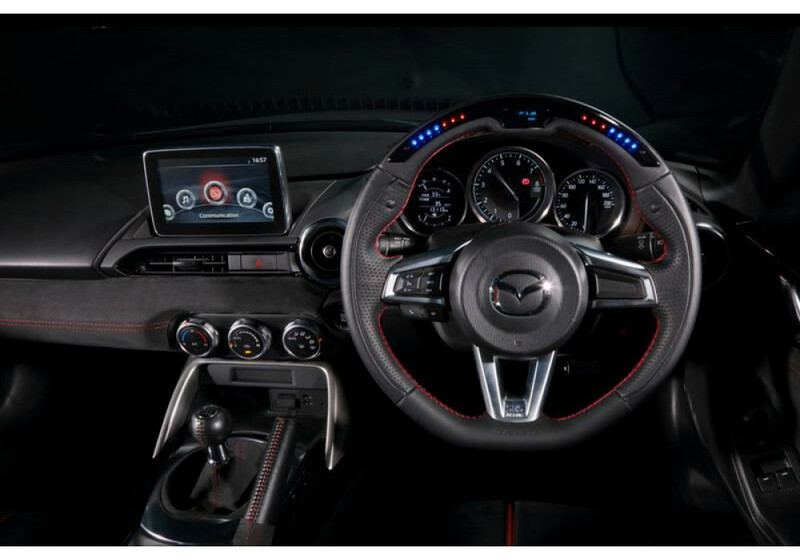 Also, does the MFD on the wheel require software? 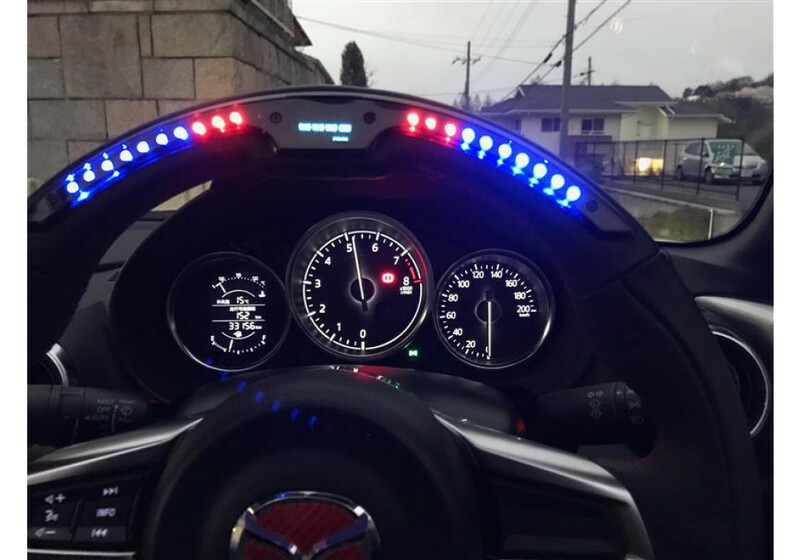 Professional installation is recommended as there are many sensors to plug for the steering wheel to gain its functions. I believe self attempt is doable, but a professional might know better.